Start your toddler off right with Re-Play's 3 pack of Divided Plates! Available in a wide variety of vivid colors, Re-Play Divided Plates are perfectly proportioned for your toddler, with 3 sections so you can offer a variety of healthy foods at mealtime, but still keep foods separate for picky eaters. 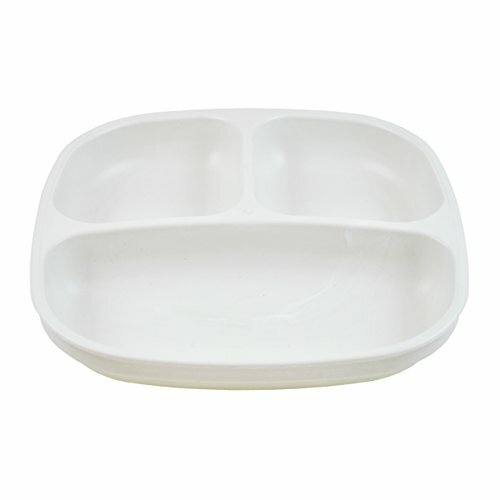 Plates have deep sides to help little ones that are learning to eat independently. Note: All of our products are shipped direct from our warehouse to your home. Because of this, we do not use our standard retail packaging usually seen in stores to save on cost and cut down on waste. 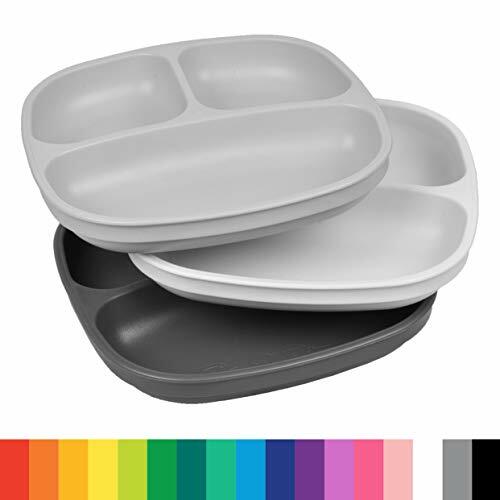 Divided Plate Dimensions: 7.375" by 7.375" by 1.25"
While safe for the Microwave, we do not recommend it due to the possibility of staining and hot spots in the food - should you choose to Microwave we do not warranty against staining. The Re-Play logo is embossed on each product face, ensuring you are purchasing authentic Made in the USA products. Special Note: Re-Play items that are White are made from Recycled Polypropylene - NOT Recycled HDPE.